Benchmade Knife Company has been selling premium knives since 1986. With recent years of rapid growth and a strong reputation of quality, Benchmade often works hand in hand with custom knife makers to diversify their product offering. From these collaborative knife designs, Benchmade builds a near identical replica at their factory in partnership with the designer. This further distinguishes the brand and helps the Benchmade spread their customer base. These designers all have a unique way of building their product, but they all share a love for the craft. This project was executed by our founder while working as the graphic designer on the Benchmade team. This year, Benchmade was introducing two collaborations from two very different designers. The Saibu, a gentleman’s knife designed by a traditional Japanese craftsman, and the Mini Pocket Rocket, a Shane Sibert classic, a perfect representation of the 'strong mans' heavy duty work-knife. While these products differed tremendously, both products were launching simultaneously, so Benchmade wanted to launch them with a unified campaign featuring both products. 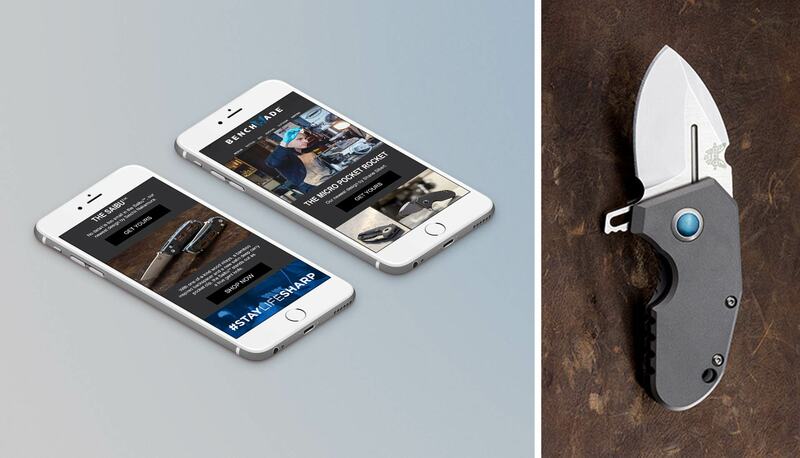 This campaign featured digital assets like a product highlight email and web banners, as well as a feature in their booth at an upcoming tradeshow. Benchmade’s blog was also launching at the time, and these designers stories would be the first content they posted. The simple yet difficult process of hand-crafting; the meticulous focus on details and slow progress of building these custom knives was the primary inspiration for the campaign. 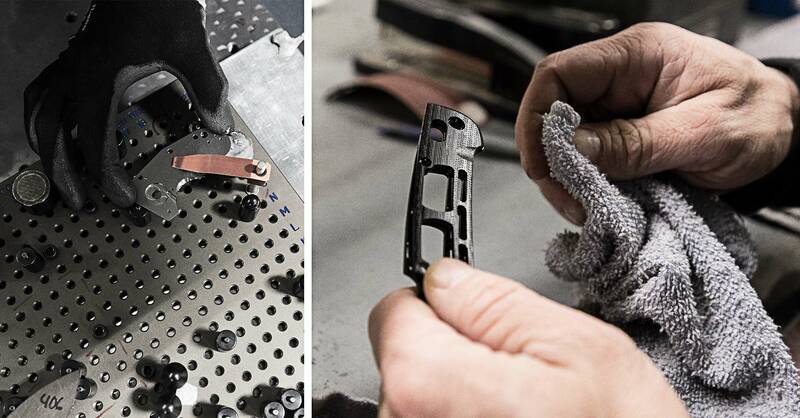 While each designer had photographs supplied from their respective workshops, we captured close up photography of the Benchmade counterparts being built in the factory. Matching these custom knife makers' processes with Benchmades' emphasized the attention to detail and quality behind their product. The meld between processes, showing benchmade's factory against the work of each collaborator seamlessly joined the craft shown by both parties. Benchmade had a great showing at Bladeshow, the knife industries largest tradeshow. The Benchmade Blog also launched successfully, leading with stories from each of the collaborating designers, and continues to be a place for the community to come together. Rain or Shine, always grind.